This weekend there is an international gathering of more than 180 women converging on Chicago for the inaugural Women In Travel Summit being held at the historic Palmer House Hilton . 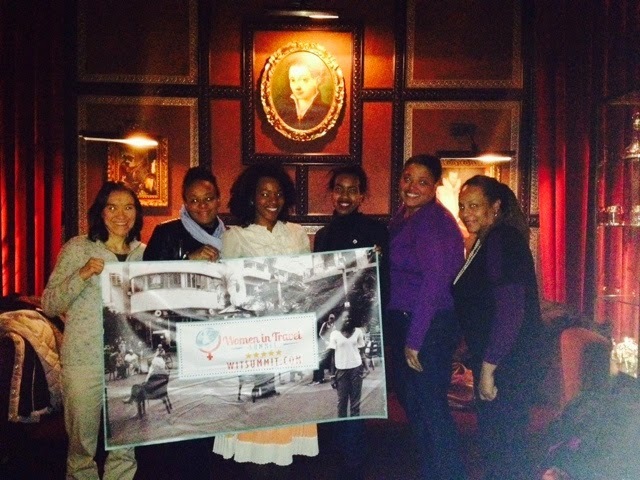 I had an opportunity to meet some of these savvy travel godesses last night at a pre conference travel meetup. If you missed that event you have a chance to come meet conference attendees and travel industry professionals at the next open to the public event. Yes, men are welcome to attend even though it is a women's summit. 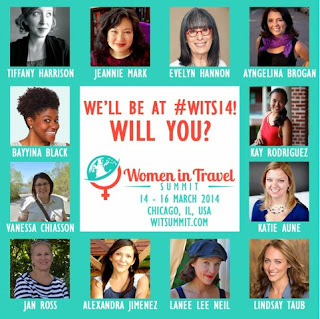 Travel Massive and Women In Travel Summit #WITS14 are co-hosting a travel meetup that you are welcome to attend even if you are not registered for the conference. This upcoming event is Saturday, March 15, 2014 from 8 pm to 11 pm at the Gallery Bar which located at 738 North Clark Street in Chicago. Consider this your personal invitation from Flight Attendant Janice aka "SkychiTravels"
Share this event and see you there!